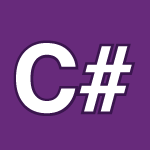 In this part of my C# tutorial we’ll explore many collections available with C#. We’ll look at ArrayLists, Dictionaries, Queues, and Stacks. We’ll test out most every function available with them. For best results take notes on the heavily commented code provided below as you watch and leave any questions you have. This is the book students tell me is the best for learning C#.